Bait boat DEVC-200 black ABC plastict brushless motor for bait boat style radio control. 1.The whole ship use high durable ABS, elegant appearance, sturdy and durable. 2.The hatch of the hull and other connected components are installed with sealing rubber ring,Even when it is raining,the cabin will not influent. 7. 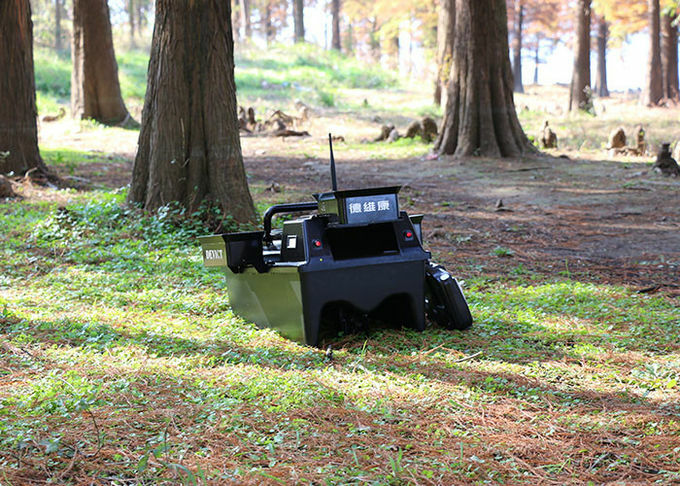 The fishing bait boat can also show the battery electric charge of the boat, in order to avoid the boat from losing control caused by losing battery electric charge. 8. Standard color is camouflage & other colors could be choose as want in this form. 9. 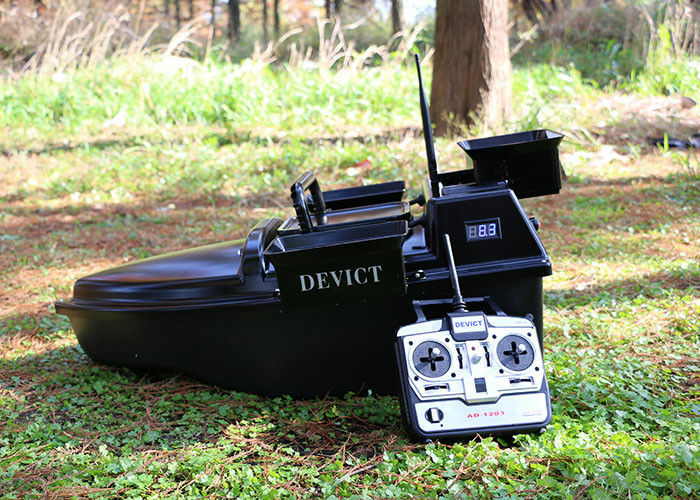 All DEVICT bait boat with digital battery level indicator. "Lead battery supply is standard and lithium for option"
When you choose the newest high speed brushless motor, you also could feel the exciting speed in the water and the efficient fishing working. The speed could reach 1.7-2.2M/S.